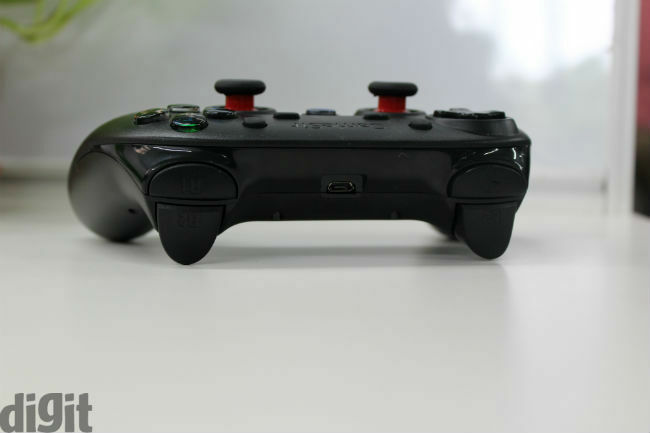 The GameSir G3 lacks grip, something that we have seen on the Amkette Evo Gamepad Pro 2 controller. If you want an Xbox 360 controller-like asymmetric layout with the analogue sticks, then you can consider the Evo Gamepad Pro 2. 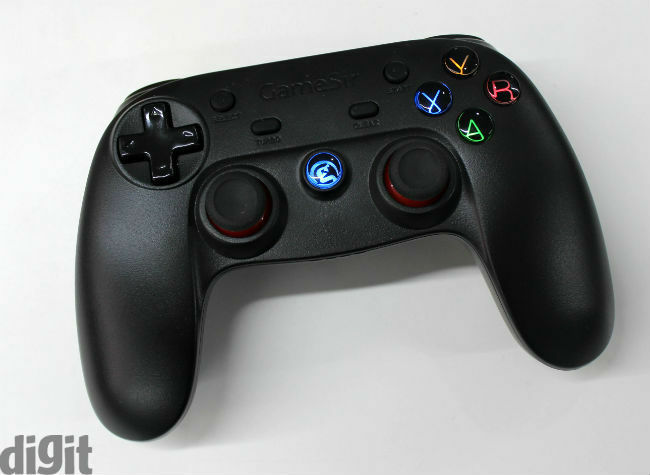 However, if you are looking for a controller that apes the PS4 controller, the GameSir G3 is for you. For its price and features on offer, it is a worthy accessory for the mobile gamer. One of the biggest drawbacks of gaming on a smartphone or a tablet has to be the controls. Sure, racing games and endless running games take advantage of the touchscreen UI and we have seen some puzzles games (like the Room, Cut the Rope, Angry Birds, etc.) that were built from the ground up keeping the touchscreen UI in mind. However, there are some genres such as action and FPS games that are very uncomfortable to play using a touchscreen. 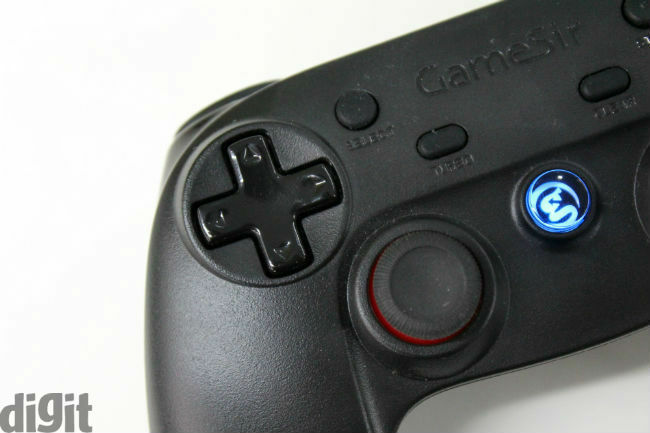 ‘Lo and behold, the dawn of Bluetooth controllers. 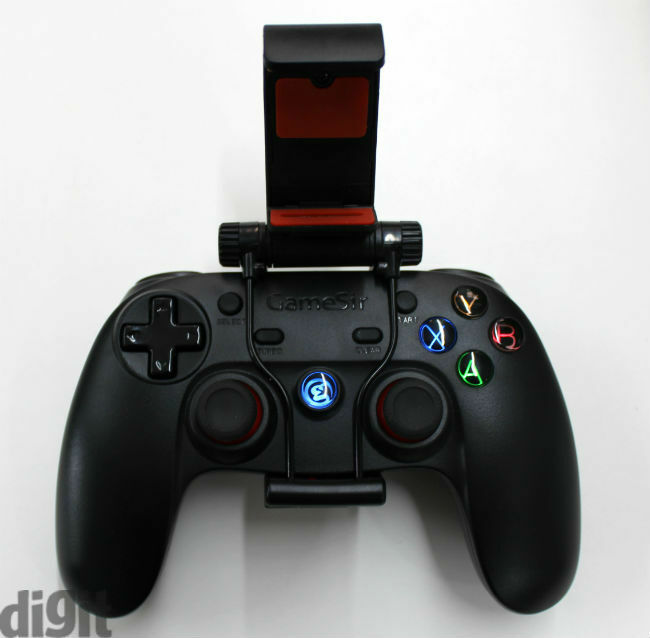 Today we have with us the GameSir G3 Bluetooth gaming controller for smartphones. Priced at about Rs. 2,100, does it deserve your attention and money? We find out here. Kicking things off with the build and design of the G3, the first thing you will notice is that it draws a lot of inspiration from the PS4 controller. The GameSir G3 is made of smooth plastic, which makes it slippery. I wish the back of the controller had textured panels, which would have made it easier to grip. However, this doesn’t mean that the controller is uncomfortable. 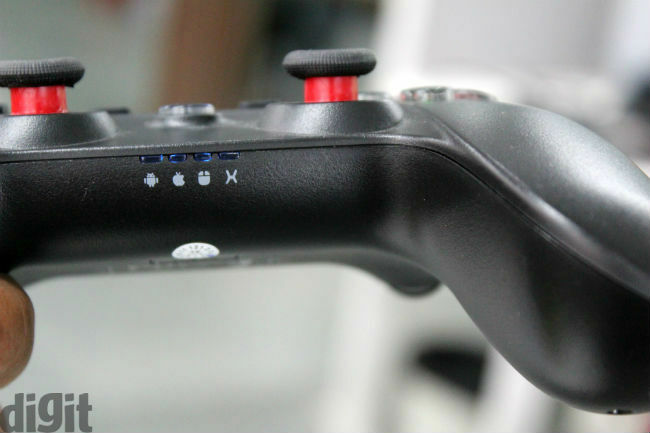 The grip is reasonably long, something that we have seen on the PS4 controller. The controller is slightly wide too, yet again something that resembles the PS4 controller. On the face you have the D-pad, face buttons, two analogue sticks, start & select, and turbo and clear buttons. 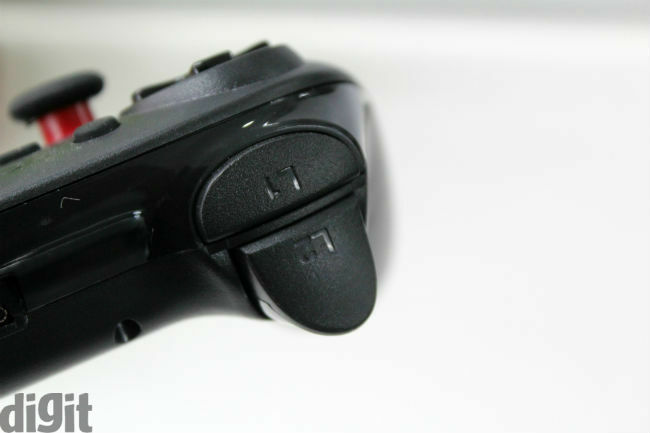 The layout of the shoulder buttons and the triggers is also borrowed from the PS4’s controller. I personally like the way the triggers are laid out on the controller, and even if the layout has been inspired from a PS4 controller, it is quite commendable. You also get a clamp in the box that fits on the controller. This clamp is where you house the smartphone. You can use it on a table to rest a tablet on it as well. To put things into perspective, the clamp feels more secure and better built than the hinge that we have seen on the Amkette Evo Gamepad Pro 2. 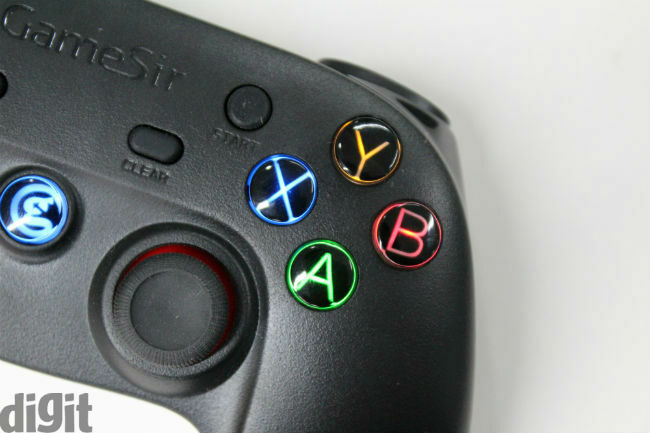 The A, B, X, Y buttons (a lot like the Xbox One controller) on the controller glow when it is powered on and this adds a nice touch, bringing the controller to life. You also have separate LED indicators showing you whether the device is connected to an iOS or Android device. Overall, I like the build of the controller. Considering its price, it is well built and feels durable. It also looks like it can survive a drop or two, but we don’t recommend you dropping it. The only thing that I wish the controller had was a textured grip, as the rest of it feels great on overall terms. When it comes to pairing, the process is a little tedious. You have to press specific button combinations to pair with iOS, and a different button combination to pair with Android. The controller doesn’t reconnect automatically if you shut it off and power it back on for a new gaming session, and that is a bummer. Straight off the bat, I’d like to tell you that not all games available on iOS and Android are compatible with Bluetooth controllers. From my games library, the only games that supported it was Dead Trigger 2 and Asphalt 8. Navigating the turns on Asphalt 8 was a lot of fun using the controller and getting those precise headshots on Dead Trigger 2 was quite satisfying. Too bad games like Need for Speed: No Limits and Prince of Persia didn’t support the controller. My only qualm is that the library of games that support a controller needs to grow vastly to fully exploit the purchase of one of these accessories. Of course, with the plethora of NES emulators that work with Bluetooth controller available for Android, it is a worthy investment for retro gamers. 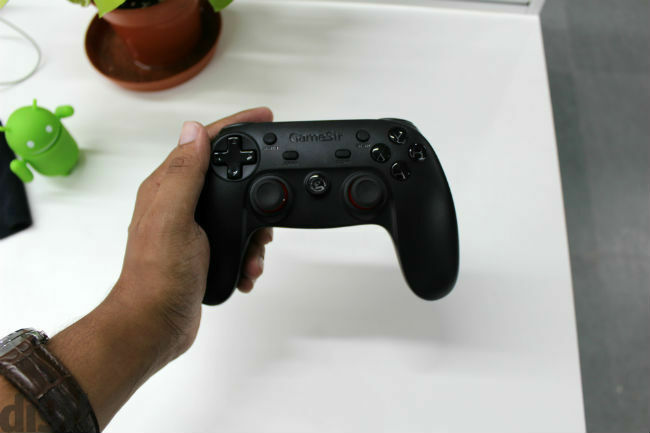 The controller is responsive on overall terms and is fun to game with. Sure, there are times when bashing the controller will make you realise that it isn’t console-grade, but it is light and durable. If the controller’s buttons have one weakness, it is that the D-pad is nothing to write home about, and feels cheap when compared to the rest of the buttons on the controller. Moving on to battery life, the controller easily crossed the 10-hour battery mark when playing, giving it a fairly decent battery stamina. What\'s the best PC game controller under 400?